“Never ask a volunteer to take on a role unless you plan on training them to do that role effectively.” This statement has been a staple of mine since the first day I started consulting churches. Why is this principle so important? There are multiple reasons. An ineffective small group leader will kill a group. A small group leader who doesn’t feel secure in what they’re doing will bail as soon as possible. A small group leader has taken on a vital Kingdom role, making disciples that make disciples. A small group leader reflects the pastor that enlisted them for leadership. Training group leaders isn’t rocket science, although it is systematic and strategic. Below you’ll find some important principles. Determine what are the core values of your group ministry and instill those values first. Create a list of foundational practices that a first-time group leader needs to understand, and teach those to your new group leaders first (for example: how to invite people into your group, how to prepare for the group meeting, etc.). Be available (or have someone available) to answer any questions a group leader may have as they are in the process of leading a group. The optimal time for someone to learn is when they are actually wrestling with a difficult or complex situation. Refer group leaders to blogs like this one where they can find information about group leadership. 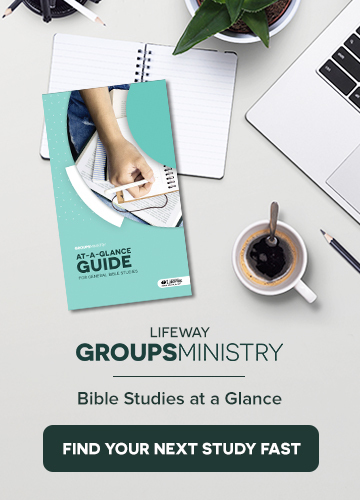 Take out a subscription to LifeWay’s Ministry Grid and make sure your leaders are aware of this resource. They’ll find a great number of videos that will aid them as they go about leading a group. Never stop training group leaders. There’s always something more that needs to be learned. Every small group point person I know is on the hunt for small group leaders. In some small group systems, if you’ve got a pulse, can plug in a DVD, serve some snacks, and read some questions, then you’re a great candidate for group leadership. In other group systems, there’s a long process to becoming a small group leader. Neither system is right or wrong. But if you choose to be a small group leader in any system without first considering some reasons you might need to say no, you may involve yourself in something you’re not capable of doing effectively. My marriage is struggling. I must give my time and effort to stabilizing this relationship. My schedule won’t allow it. If you’re working sixty hours a week and have a family, taking on a small group may not be the best thing for you at this time. I have a sin issue that, if it were to become public, would cause my church leadership to be questioned about why I was given a leadership role. I am already overly involved in other church leadership roles and, if I take this on, none of my ministry responsibilities will be accomplished with excellence. I have no passion for group leadership. Each of us is given differing passions. Some are prone to deeply care for the poor, others church finances, others children’s or student ministry. Taking on a role that you’re not passionate about will only lead to frustration and ultimately burnout. Acts 2:42-47 unearths the expectations of every community of believers. Memorizing this passage plants deeply into the heart of every group leader what they are to lead their group to do and to be. 2 Timothy 2:2 is a convicting reminder that the goal of every group should be to multiply so that others can grow to maturity by being in a biblical small group.